How To Set Goals In 5 Easy Steps! To be a successful affiliate marketer requires hard work. You must be dedicated to doing at least an hour a day of work on your site, and it would be better to do three to eight hours, however that is based on whether you are working full time outside of your home. 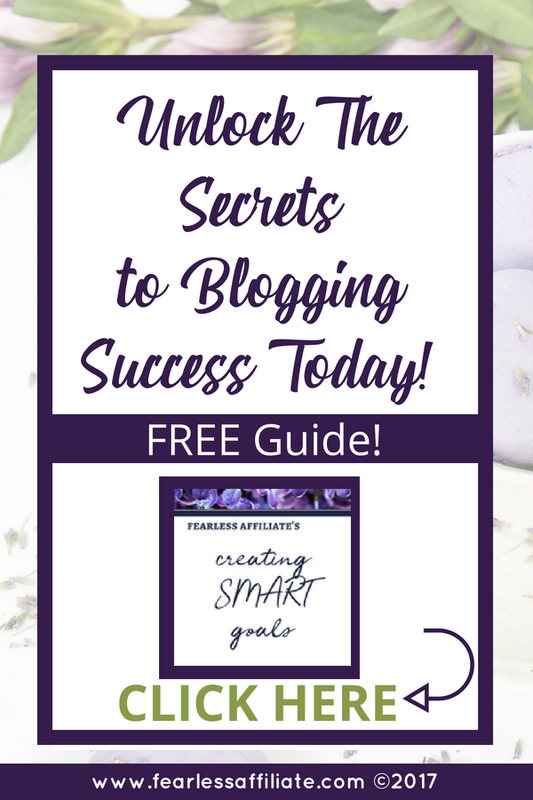 How to set goals in 5 easy steps will help you get organized and give you direction for your blog. Tweaking posts, adding media, and creating new content are all things that need regular maintenance. It is easy to get distracted while learning how best to move forward with your website, but it is important to set measurable goals that keep you moving forward and maintain momentum. 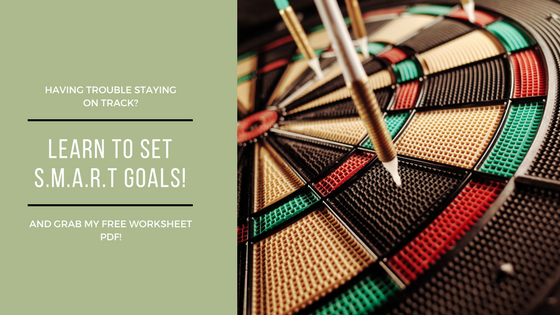 I have created a worksheet in PDF form that you can download and fill in to help you in setting and achieving goals. I use this same system to stay focused. 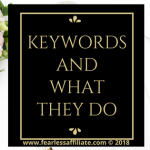 Set aside a few tasks each day to keep things moving forward, such as researching keywords, finding appropriate photos to enhance your articles, and watching videos or reading e-books about affiliate marketing. Use the SMART acronym to keep organized: Specific, Measurable, Attainable, Relevant, Track-able. If you are trying to build up a number of blog posts, then you need to decide how many you want to publish each week. If you want to earn more money with your blog, how will you do that? Will you use more ads? Are you going to write more posts? Do you need to learn more about social media? If this is the case, then you need to research each of these and decide which one to implement first. It is important to be specific so that you can track your progress and know how long it takes to achieve this goal versus how long it took you achieve a different goal, so you can plan future goals accordingly. As you achieve your goals, you will feel more accomplished and you will also know what some of your limitations are, and maybe how to push past them. If, for example, you want to gain more visitors/traffic, you may need to set up e-mail marketing. This is a larger goal, as there are several steps to getting it set up. 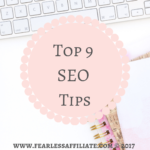 Break down the steps into smaller goals, such as finding a decent auto responder, creating opt-in gifts, and making forms. Keep your goals on a sheet of paper, handy for checking off items that are now complete. As you check things off of your list, you can see that you are moving forward! Taking large tasks and breaking them down into manageable size chunks is one way to discover whether certain aspects of your goals are attainable. And you may discover that you are not equipped to complete that chunk. You may hit roadblocks or that goal may force you to go outside of your “comfort zone” to learn something or try something that will help you to succeed or discard that goal as unworkable. This is a great opportunity for personal growth, as you push yourself past a perceived boundary. Being successful with a goal that is uncomfortable is a great achievement to be proud of! Stick to goals that are relevant to whatever stage or lesson that you are on, along with any extraneous tasks that need doing, such as more research. Give yourself some time to research, decide if it is worth pursuing either soon or in the future, and then go right back to the lesson and keep going. Perhaps set an oven timer for 30 minutes to discover if this new item is worthwhile. Only move one foot in front of the other, so that you do not get off track and feel defeated because you have too many incomplete tasks. If your goal is to increase your yearly income from your blog, then you can break this down into a monthly goal that is easier to track. Say you want to increase your income by $12,000/year, you can easily set this as a monthly goal of an increase in income of $1000/month. Pick a time period, such as the first day of the month, and start one aspect of your project. By the end of the month you can check your results. Keep a spreadsheet or a document on your desktop to record your progress. Next month, double down on one aspect of your blog, like your email marketing. Try a new tactic, A/B test newsletters, take a mini-course looking for new tips that you can implement, basically fleshing out all the information that you can find on the subject. Record your results at the end of the month. Did it help? Did you discover something new that you want to try next or expand upon? Be sure to give your new projects a reasonable amount of time to succeed, like a couple of months, and do not just try things willy-nilly, basically throwing them at the wall to see if they stick. Success takes time! Do not get discouraged if you do not see results right away. Your goal may require some tweaking or another component. Remember, goals can change! If you find that you have to adjust a timeline or even the goal itself, go for it. An adjusted goal is SMARTER, with the E being Evaluate and R being Re-do. Keeping yourself organized is a great way to be able to track your progress. And completing tasks shows us that we are moving forward. Building a business is a never ending stream of work. However, you can simplify your life by setting goals and then adjusting them to make progress. 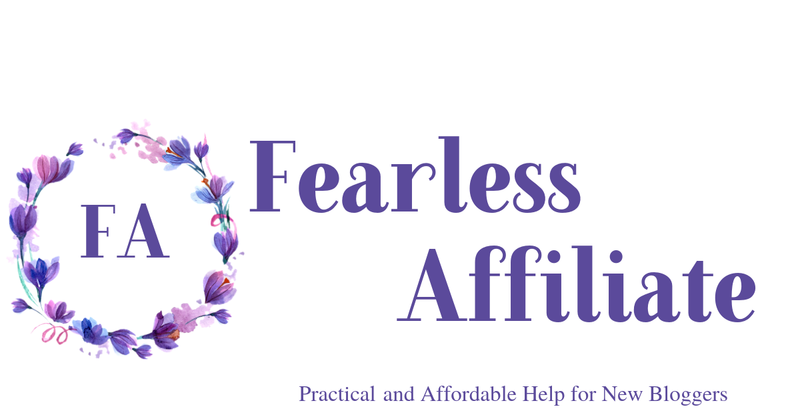 Be sure to sign up for my free weekly newsletter of tips, deals and free stuff for bloggers! And share this post with others. Sharing is caring! What goals are you most proud of succeeding at? Do you have any tips or tricks that you would like to share? Tell us in the comments below. 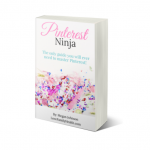 Happy blogging and follow me on Pinterest. 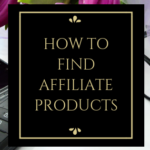 « Want a super successful affiliate website? Thank you, Irma, for posting this article. I am working on my business and it’s starting to get out of hand. I could use help organizing and expand my goals. This is going to get me started. Hello LeNard and thank you for stopping by today! Since I am a newby, I have a lot to learn, and your good advuces are very helpful in achieving my goals. Welcome to our site Hellmut! Setting goals is step one to achieving anything we desire. I wish you the best of luck with your goals! Thank you for visiting us today and best of luck with your B.A.!!! I am happy I have the opportunity to read this post because it has added value to me. Making my goal to be SPECIFIC and ATTAINABLE are the very cores that affect me personally. This is good knowledge for me. This is the area I need to work on to achieve my goals. What criteria do you suggest I follow to measure how specific my goal is? Hello Ben and thank you for visiting us! I would suggest that you break your goals down to one main idea for each aspect of the whole and dedicate one day/week/month to each step, for research and viability. For example, if you want to get started with email marketing, there are a lot of steps. So step one is research, and you might initially give yourself a day to research, which may or may not be enough time. Do not be afraid to add more time to completing goals. Step two might be choosing an auto-responder (more research!). Step three might be choosing a program for making freebies (again, more research). After your initial day of research, you should have a better idea of how much time is involved with getting things set up, what the learning curve is for each step, how many more steps are likely to be involved, and whether it is a good fit for your website. Keep breaking the steps down into smaller steps, and give yourself a time period to complete the research, or any of the steps, so that you do not get hung up. For example choosing an auto-responder. There are lots of options, each having plusses and minuses, so don’t sweat getting the perfect auto-responder. Instead, choose one and move forward. If you find later that it does not work, you will have more information for choosing a different product. Feedback is awesome! Be sure to keep a journal or a special calendar, and write as many of the steps into the different days. As you complete a step, check it off. This is very motivational, and it helps you to have a visual reminder that you are getting things done and moving in a forward direction. Irma, great post, I love it that I learned something new “SMART acronym”. This is something that everyone should be following. As I was growing up I was not taught about goals, dreams and defiantly not how to take steps towards them. So I NEED THAT PDF! Thank you. Hi Liana and thank you for visiting today! Yes, goals, dreams and courage are things that, if not taught at home, should at least be taught in school. 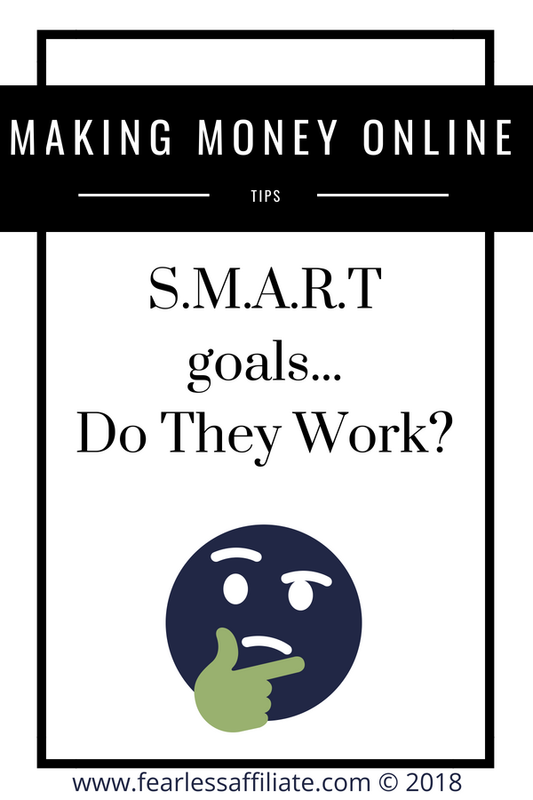 I’m an affiliate marketer and you are right on with your information on setting goals. I find having a worksheet to help setting and achieving goals to be an asset. I use a notebook for mine, but your’s is such a great idea! Hi Patsy and thank you for taking the time to visit us today! Great idea regarding goal setting. I love the SMART strategy. This helps me to remember and stay focus on my tasks. Writing them down makes me accountable to follow through. Thank you for sharing the steps. I look forward to apply them to my writing goals. Yes, and this is the type of education that we really need in schools today. This would help so many young people get on the path of success. What a fantastic post on SMART goal setting! And your mnemonic makes it easy to remember! Hi Barb and thank you for taking the time out of your day to visit us! I have found SMART goals to be one thing that works the best to keep my on track with my goals! Great ideas here, Irma. 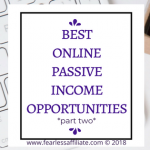 As someone who does the whole affiliate marketing thing full-time, I can attest that you need to be specific in your goals and exactly HOW and WHEN you’re going to reach them. Goals without a deadline is just a dream, and without setting a deadline, nothing will get done and nothing will get achieved. Great job, once again! What an awesome comment Brandon! I agree that a goal without a deadline is just a dream. I have so many sticky notes at my desk to remind me to stay focused on what I am doing before moving on to the next task, and I have buried my link to Facebook so that it takes a bit of effort to find it if I want to goof around lol. Hi Irma, I think I am now at a point that I really need this smart goal PDF. I signed up for your tribe. My website is still very young but I want to start seeing sales. 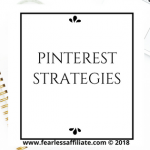 I want to focus on Pinterest and other social media. The email campaign is not too interesting yet due to not having too many visitors to my site. I want to improve these numbers with Pinterest. It is always interesting and motivating to read your posts, thanks. Hi Stefan and thanks for visiting us today! 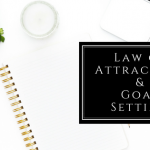 Goal setting is the way to go, and I would suggest learning everything that you possibly can about email marketing and finding the ways to get visitors to keep coming back. An effective email strategy will help. 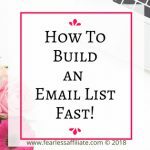 I found that there are a lot of moving parts with email marketing, much more than you can read about online which is why there are so many courses available! I will be writing a post on my recent email marketing course experience soon. I just need to collect some more data. I totally agree with the importance of SMART goals. And sooo important to write those goals down and reference them fequently. I actually just wrote down some goals to be done by October 2017. I will have to go back through them to double check that they are SMART focused 🙂 Thanks for the post. You are welcome Andrea, and thank you for stopping by! I am constantly updating my goals, and checking to see how they measure up to SMART. Goal setting! I love it! 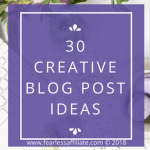 You brought out some fantastic ideas here that everyone should follow. Currently, my “journal” is a mess of papers and different task pads all over my desk. It’s time to get organized. That will help a lot. Thanks for posting this. Awesome Chad and thank you for your comment! I have these tasks that I want to complete in my mind, but they are like “do as I go” kinda thing. So a lot of times, other more important stuff came up and these tasks get pushed further & further in. I need to start writing these tasks down & my goals for them using the SMART model! I am finding a journal invaluable for building my website. I wrote what day I made my site, when it got indexed, and how my site health looks and what to improve on. 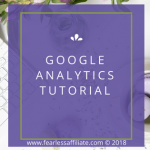 I am monitoring the WordPress plugins that I use, and how they are working for me, and my traffic goals! Otherwise, I get caught up in the chat and tutorials and I forget to work on my posts! Hi Irma, I love you example on SMART I’ve never heard of that before until I read it in your article. Very helpful and makes a lot of sense. I wish I knew more about computers when I built my first website opening one window while working on another that’s great advice for anyone. Very informative and helpful article keep up the great work. Thank you for your nice comments! I had to learn about goal setting last year, when life got too overwhelming and I just had too much to do and not enough time for everything. At least doing small chunks of things gave me the satisfaction that I was getting something done! I love the SMART goals. I used to use them when I was a personal trainer working with clients. Your post is awesome! The one thing I would add for my clients to keep them motivated was pictures. They say a picture is worth 1000 words! So, in conjunction with their SMART goals I would have them create a vision board or (at a minimum) add one picture for each of their goals so they remembered why it was important to them in the first place. Thank you for the idea of adding a vision board. I use one myself for other goals and it is very inspiring. And thank you for your kind comments! Good information to follow. Time to set up a journal!